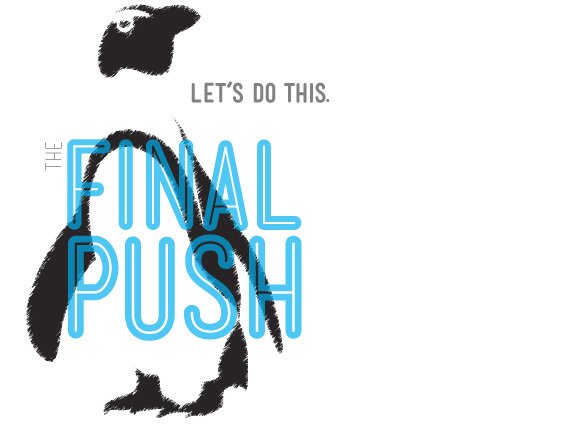 Together, we’ve already raised close to $23,000 for Oceanites (Antarctic and penguin conservation) and another $2,500 for the Riverbanks Society Conservation Support Fund (Humboldt penguin protection in Peru). This is a BIG deal. I’m so thankful to be surrounded by such generous people! The final fundraising push is underway. Let’s raise $2,300 more by the time I leave for Antarctica on March 1st! That will put us over the 25k mark with Oceanites; a serious haul for real-world conservation. $2,300 breaks down to about $110 a day between now and when I depart for the frozen South. Watch facebook and twitter for other donor giveaways!